Funky Buddha in Oakland Park, Florida recently started bottling a few more beers and shipping them out to the local liquor stores. 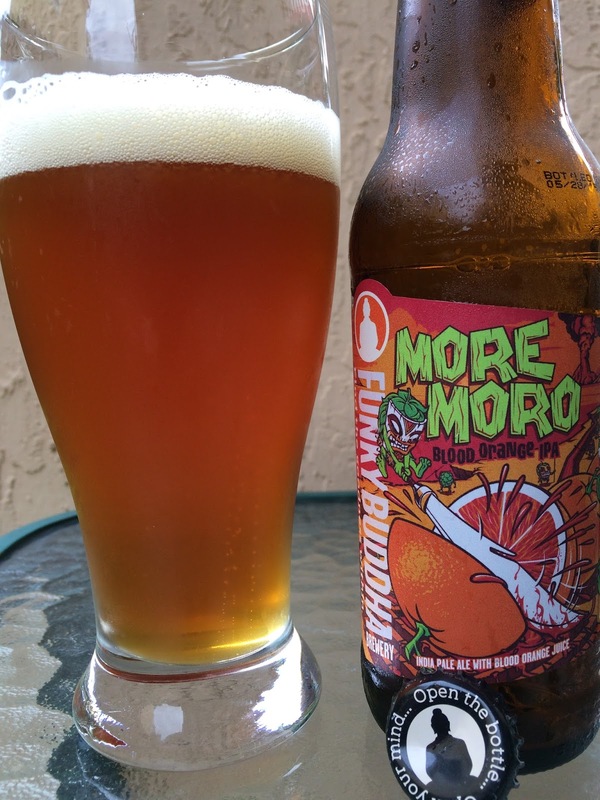 Moro Moro Blood Orange IPA is the most recent to hit the shelves. My particular bottle was packaged 052815. The label art is pretty fun. An assembly line of Blood Oranges is being "ceremoniously slaughtered" by what appear to be the natives of this pre-historic village. 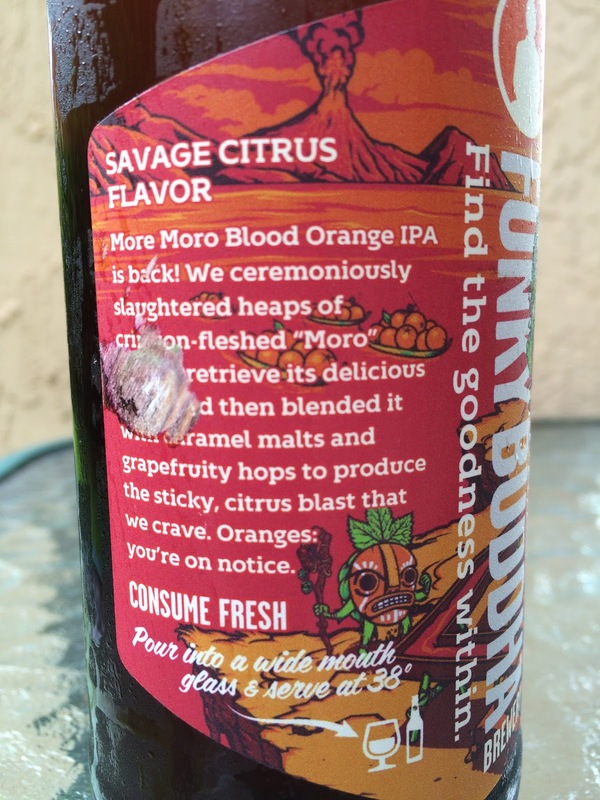 I guess that is what gives the beer its "SAVAGE CITRUS FLAVOR"! It would be nice if Funky Buddha (and lots of other breweries) named the label artist with their work. 7.0% Alcohol. Serve in wide mouth glass at 38°F. Orange in color. Sweet orange aroma, though not very prominent. Very fruity and juicy to start. Reminds me of orange-ade. Sweet then barely tart, perhaps with a dose of hoppy bitterness near the end. A touch of alcohol reminds you this is not juice, but the lingering fruity orange aftertaste makes you forget again. Not bad, but definitely a boring fruit-ade beer with an alcohol kick. Not really an IPA but I don't care what you call your beer styles if they taste great. Could use a little hoppy crispness to shut down the oranges and sweetness a bit. Looks like the Distributor should've been more careful with the bottle, too!